This is where my thoughts and feelings and encounters with SS501 is revealed. I want to share with everyone their true personalities and how they touch the lives of many people with their kind hearts. I have only been a fan for a year but they already made a huge difference in my life. They opened a new path that introduced me to this whole new world full of happiness. I never thought I will be this addicted to a kpop idol group. But if you'll just get to know these guys, you will understand why a lot of people love them. There is this certain trait about them that you don't usually see from others. I believe they will stay together forever...as one. SS501 (pronounced as Double-S 501 or Deo Beul E Seu Oh Gong Il in Korean) is a South Korean boy band under management of Daesung Entertainment, also known as DSP Entertainment. The name of the band is a combination of the alphabet and numbers that have special meanings in them. The first “S” stands for “Super”. The second “S” is an abbreviation for "Star". The number 5, 0, and 1 means "five members united as one forever". "They were able to kick the door down and paved the road to the Japanese market that many of the current idol groups enjoy today...During their heyday, the group boasted the largest fan club in the world, were the most photographed celebrities in the world and had much broader success over a longer amount of time in both Japan and Korea." 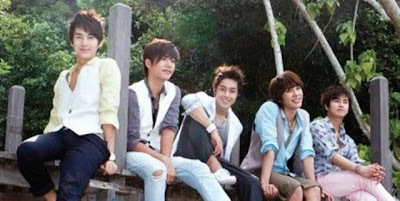 SS501 debuted on June 8, 2005 with their first single "Kyeonggo" (Korean: "경고", "WARNING"), with a second single "Snow Prince" released in late 2005. The group was inactive in Korea for most of 2006, although they had a fan meeting in Japan in April. The reason was due to Heo Young Saeng's throat condition which required a surgery, thus resulting in a need for time to fully recover. In mid-2006, they held their first concert, "Step Up Concert" in Osaka, Japan. In late 2006, they returned to Korea in order to promote their first full album, which was released on November 10 and titled S.T.01 Now. Singles from the album included "Unlock" and "Four Chance". As well as promoting the album on various variety and music shows, they also filmed a show on MNet called SOS. The group also lent their voices for the 2006 animated movie Pi's Story. Later in 2007, the group debuted in the Japanese market. A Japanese fan club has been established with the name of "Triple S Japan"; it officially debuted on March 25, 2007, when SS501 had their first official meeting with the group. The group released their Japanese single "Kokoro", alongside multiple versions, including one with all members and five others featuring the members individually. The single debuted at #5 on the Oricon chart, and move to #3 the next day. A full album was released later in the year. In 2008, SS501 returned to Korea with their single Deja Vu released on March 8, 2008. The title track was the first song to be promoted, and they started their comeback on music channel M.Net's M Countdown After success with their single "Deja Vu", they began to promote their second single, "A Song Calling For You". They performed their Goodbye Stage on Music Bank on June 6, 2008, to return to Japanese activities. On October 2, 2008, an official announcement confirmed that leader Kim Hyun Joong was part of the cast for the Korean version of Hana Yori Dango, officially named Boys Over Flowers. It was broadcast on KBS in the first half of 2009, with a total of 25 episodes and a few special episodes. With both Park Jung Min (Danny Park on the musical Grease) and Kim Hyun Joong on solo activities, the next SS501 album was pushed back to July 2009. As such, the other three members released a project album named U R Man in November 2008. The first single released was "U R Man". They also promoted their single for the Boys Over Flowers soundtrack, "Nae Meoriga Nabbaseo" (Korean: "내 머리가 나빠서", "Because I'm Stupid"). Due to the success of the drama, the song had a high number of downloads. They released their official second Japanese album on May 13, 2009 titled All My Love and had a promotional tour in Japan in support of the album. The group also released their Solo Collection, consisting of the individual members' songs. After concentrating on their individual activities, the group made a comeback and released their second mini album titled Rebirth, with the limited edition being released on October 20, 2009 and the normal edition on 22 October. The limited special edition album included two posters and a 100 page photo diary. Their comeback song "Love Like This" was well received, winning two Music Bank awards and one Inkigayo Mutizen in November. The group ended promotions for the album on November 29, 2009. On August 1, 2009, the group started their first Asia tour, visiting Seoul, Tokyo, Taiwan, Shanghai and Hong Kong. The group held a concert in Thailand, February 2010 before holding their final concert in Seoul to conclude the tour. They were initially going to release a new mini album on May 1, 2010 (which signifies "501"), however the date was later on pushed back because of the need to "add the finishing touches." On May 22, SS501 was one of many popular groups that performed at the 2010 Dream Concert. 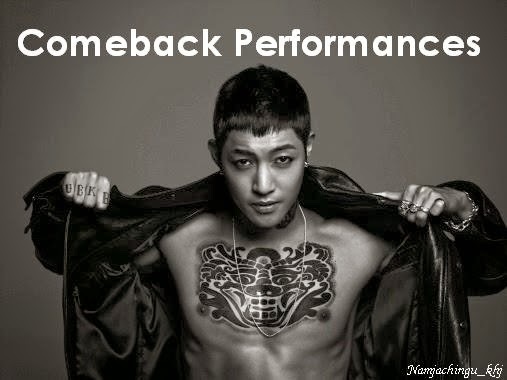 And being that Kim Hyun Joong was still recovering from his injuries, they only sang ballad songs instead of the rumored come back track. A day after their performance at the Dream Concert, one of their mini-album tracks, "Love Ya" was leaked on the internet. Not long afterwards, the teaser for the comeback track was released. On May 24, 2010, due to the leaks, DSP Media decided to release SS501's new mini-album, Destination online, which contains six tracks in total. Their first win for their title track "Love Ya" was during their second week of promotion in Music Bank, on June 11, 2010. They also took first place the following week. On June 18, 2010, Daesung Entertainment announced that SS501 would end their "Love Ya" promotions due to contract expiry with DSP on June 7, 2010. Beginning with the group's leader, the majority of SS501's members began to leave DSP Entertainment. Said leader, Kim Hyun Joong, signed with KeyEast Entertainment. This move was followed by Park Jung Min (who joined CNr Media), Kim Hyung Jun (who joined S-Plus Entertainment), and Heo Young Saeng and Kim Kyu Jong (both of whom signed with B2M Entertainment). Although its members signed under different companies, SS501 as of this time (2011) has retained its name and continues to produce songs. All of the members' companies have stated that SS501's activities will be top priority in their contracts. All members have also stated that the group has definitely not disbanded. Kim Hyun Joong explained in an interview that, at the time, there wasn't a company that would accepted them as a whole, thus the group decided to take the chance to focus on their solo activities. On October 2010, Kim Hyung Jun announced that SS501 would be back in early 2011 with a new album. Meanwhile, the members worked on their solo endeavors. It was confirmed that members Heo Young Saeng and Kim Kyu Jong would be holding fanmeetings in countries across Asia. April of 2012, Kim Hyung Jun said in his own Japan concert tour that he meet up with all the members and SS501's comeback have been decided. Kim Hyun Joong wrapped up filming the drama Playful Kiss as Baek Seung Jo, the main male lead (along with Jung So Min as Oh Ha Ni, the main female lead). Kim Hyun Joong's solo album 'Break Down' was released on 8 June 2011 and it exceeded 70,000 pre-ordered copies in 10 days. His official fanclub name is Henecia. In July 2011, he held his first nationwide concert in Japan, then continued the tour in November in seven cities across Japan. Kim Hyun Joong then released his second mini album Lucky, in October. It debuted at number 5 on Billboard's World Chart. Heo Young Saeng and Kim Kyu Jong held a joint fanmeeting, Kim Kyu Jong & Heo Young Saeng "And Story" in Seoul on December 4 which continued in Hong Kong, Japan and countries across Asia. Heo Young Saeng released his solo album 'Let It Go' on May 12, 2011. The title track, 'Let It Go', features 4Minutes' Kim Hyun Ah. Originally, he planned to make a solo debut on April 29. His solo debut date was postponed due to an injury that he faced during rehearsal, which caused him to have ruptured ligament (desmorrhexis) and a fracture that took five weeks to heal. He also planned to release his First Solo Story - Special DVD Collection on September 28, the day after Kim Kyu Jong planned to make his solo debut. The official fanclub for Heo Young Saeng is Y.E.S. , which stands for Young-Saeng's Eternal Supporters. From 3 November to 18 December 2011 Heo Young Saeng made his musical debut in The Three Musketeers, playing the role of D'Artagnan. Before the year ends, Heo Young Saeng released an OST on December 28 entitled The Words On My Lips for a Korean Drama called Fermented Family. May 9 2012, B2M Entertainment officially announced via twitter that Heo Young Saeng will release his 2nd Mini album entitled SOLO on May 22, 2012. ‘SOLO’ has been revealed to be the complete production of Heo Young Saeng himself, having participated in the overall planning process and even its production. He wants to go as an artist from the title of idol to co-producer since he also participated in making this album. A teaser was released on May 18 2012 for his album. Kim Kyu Jong performed in the musical version of Goong in Japan, playing the lead role of Crown Prince Lee Shin, in Kyoto, Japan from 11 June to 1 July and debuted as a solo artist in September 27, 2011 with mini album Turn Me On. Kim Kyu Jong's fanclub is officially named as ThanKyu. Kim Kyu Jong acted in Saving Madame Go Bong Shil. He acted as Nikki alongside with f(x) member Luna. He has shown a very good acting skill. He has been praised by media and fans for his improvised acting skills. On 9 November 2011, Heo Young Saeng and Kim Kyu-jong, along with other Korean and Japanese artists, perform at the Seoul Tokyo Music Festival 2011 at Saitama Super Arena, Japan. Park Jung Min's comeback solo album, 'Not Alone', was originally planned to be released in November 2010, but CNR Media pushed back the date to January 20, 2011 to allow Park Jung Min time to add more songs to the album. Park Jung Min was also involved in a musical 'Bonds Of Boys' in Japan as an exchange student from November 18 to November 23, 2011. Park Jung Min also expanded his experience in acting by being cast in a Japanese drama, 'Love Song', in August. He was also cast in a Taiwanese drama, 'Fondant Garden', along with Kingone Wang, Jian Man Shu and Lia Lee. Kim Hyung Jun was in the musical 'Cafe-In' in Korea from November 24, 2010 to January 23, 2011, playing two characters: Ji Min, and Jeong Min. In January 2011, according to Kim Hyung-jun's official Japanese homepage, he signed with Avex Entertainment for his Japanese activities. On 8 March 2011, Hyung Jun released his debut solo mini album My Girl with music videos for the two lead tracks "oH! aH!" and "Girl". Where Park Jung-min visited Kim Hyung-jun during the music video shoot for "Girl". He is also one of the MC's for the variety show 'Midnight Idols'. He released his Japanese single 'Long Night' on July 27, but, before the track was officially released, the music video for this track was revealed. He named his Japanese fanclub Jjunaway. Kim Hyun-joong was offered the main lead role for the drama "Conquest for the City/City Conquest". Previously, Kim Hyun-joong has acted as a soft, gentle person however, this time round there will be 180 degrees change. He will be playing a wild, tough, rough man who grew up with no parents. He also released three Japanese albums entitled KISS KISS / Lucky Guy, HEAT,and unlimited where he wins several awards. He also holds several concerts in South East Asia. Heo Young Saeng joined the cast of KBS2 sitcom I Need a Fairy in episode 23. His character is a famous singer who is one of the female character's, Cha Na-ra, first love. He had left her in order to pursue his career as a professional singer, but returned to Cha Na-ra after coming to fame. His role's name is the same as Heo's real name, but also goes by a nickname, Kaki. March 2012, Heo Young Saeng released a soundtrack entitled "Love Song" for "Sent From Heaven" drama. He also released his second mini-album entitled 'SOLO' and his first Japanese album entitled 'Overjoyed' in May and September respectively. Kim Kyu-jong portrayed Nicky in Saving Madame Go Bong Shil alongside f(x) member Luna. He has been praised by the media for his improvised acting skills. He also released his second mini album entitled Meet Me Again before his enlistment on July. Park Jung-min acted in the Taiwanese drama Fondant Garden, also showing good acting. He then debuted as Romeo under Victor Music after his lawsuit against CNR Media. He releases Japanese albums Give Me Your Heart and Tonight's The Night in September and October respectively. In November, he comes back to Korea for his 3rd mini-album Beautiful. In December, he released Japanese album, Midnight Theatre and holds a concert in Tokyo Dome city hall. Kim Hyung-jun starred in his first drama, Glowing She/Sunshine Girl, playing a leading role named Kang Min, a cool successful singer. The drama aired from 7 January to 17 March. He was once again offered to play a main character in I Love You/Late Blossom. He also released his second mini-album entitled Escape and holds concerts in South-East Asia including Japan and Malaysia. He is also active in several award shows and music festivals. In June 2012, B2M Entertainment announced that Kim Kyu-jong would start doing his mandatory military service in July, making him the first member to enlist. On June 3, Kim Kyu Jong held a farewell fan meeting entitled Thank U ThanKYU with Triple S at Yonsei University in Sinchon-dong, Seoul, which the other SS501 members also attended. This marked Kim's last official activity before his enlistment and the first time in over two years that the five members of SS501 had gathered. On July 2, his agency announced that Kim Kyu Jong would report to the recruit training center of the 35th division in Jeonju, North Jeolla Province on July 23 for four weeks of basic training. They further explained that Kim Kyu Jong had originally been exempted, because he is a hepatitis type B carrier. Since then, however, the law has been reformed, making him eligible to serve non-active duty as a public service worker. In January, Kim Hyun Joong had his first Japanese tour of this year entitled 'JAPAN TOUR 2013 “UNLIMITED”' tour. He performed his hit songs with a live band, which began on the 6th at Kobe World Memorial Hall and toured various cities across Japan including Saitama, Nagoya, and Fukuoka. In addition, he performed in South America on February 24 for the first time. He, along with Ailee, Baechigi, and Ongals performed in Brazil for the '2K13 FEEL KOREA' event. On the next day, February 25, they visited on a children center in São Paulo to get closer to the people and spend time with them. Then, he headed to Peru for a fan meeting. On the other hand, his Unlimited album has been certified "Gold" by the Recording Industry Association of Japan (‘RIAJ’) after selling more than 100,000 units to retailers. In February, it was rumored that City Conquest has been rejected by KBS for the reason that it "lacked in quality". The producers of the drama, however, argued that KBS decided not to air it even after following KBS's requirements and requests, without any words of apology or explanation to the producers and fans. Instead, the team accused KBS of having political reasons for pulling out the drama. Then, again, KBS asserted that those claims were all false and will take strict actions against the producers. After some time, it was announced that Kim Hyun Joong will be withdrawing from the drama and is planning to start in another drama later this year instead. For now, he started his promotions as a singer with his Japan and world tour. On March 2, Kim Hyun Joong performed at the U-Express Live 2013 at the Makuhari Messe in Japan together with the other artists such as Ringo Starr & His All-Starr Band, Far East Movement, Naoto Inti Raymi and Kara. The concert is one in which only the most popular singers that represent the six labels under Universal Music can perform. He also won the "Creator’s Factory Best Actor Award" at the 5th Okinawa Music Festival for the music video Lucky Guy. The awarding ceremony was held on March 26 at the Okinawa Convention Center Theater 2 in Japan. During this time, Kim Hyun Joong made his comeback in a Korean variety show after a long while. He is cast on the new SBS variety show with Kang Ho Dong, which first aired on April 21. Barefoot Friends's casts, which includes Eunhyuk, UEE, and Kang Ho Dong gathered together for the first time at Incheon International Airport and went to Vietnam to start filming and perform various missions. A teaser preview for the first episode was released on April 14, and it was aired on April 21, replacing K-Pop Star 2. Aside from Barefoot Friends, Kim Hyun Joong also appeared in the UV concert that was held on May 24 and 25. Kim Hyun Joong, then, released his third Japanese single on June 5. Tonight includes five different covers with five completely different image concepts for each of the covers. It also includes three songs: "Tonight", "Cappucino", and "君だけを消せなくて". Once again, his single topped the Oricon Daily charts, with 101,818 copies sold, and taking the number two spot by the end of the week. The album received Gold certificate for selling more than one million copies on June. Two days after the event, KeyEast stated that he will be releasing his third mini album Round 3 on July 22. They released the first photo teaser of his back muscles with Korean traditional pattern tattoos on the same day, and the second photo teaser of his intense gaze downwards with a tattoo on his neck four days later. Jay Park and Dok2 participated in the lyric-making as well as featuring in the songs "Unbreakable" and "Your Story" respectively. In addition, both songs are created by Steven Lee, and choreographed by Lyle Beniga in the former and Keone Madrid in the latter. In January, Heo Young Saeng was invited to be a guest judge together with Bada, Bobby Kim, and Jun Soo Kyung on MBC's Birth of A Great Star 3. Later on, Heo Young Saeng was invited to do a collaboration with Lee Jung Bong. They produced a duet song named "Goodbye My Love", which was released on January 31. During this time, he was also preparing for his upcoming third mini album that will be released afterwards. On February 14, B2M Entertainment confirmed through their website that Heo Young Saeng were to join the cast of Summer Snow musical, originated from a Japanese Drama, that was held in April in Osaka, Japan, and at the end of May to June in Tokyo, Japan. They had a press conference on February 20 that was held in Tokyo. Through twitter on February 18, B2M hinted Heo Young Saeng's Korean comeback. After the initial announcement, a short video teaser has been released by B2M on March 5, and a second video teaser was released on March 8. He finally released his third mini album Life on March 13 containing four songs including his music video entitled "The Art of Seduction". After his album promotions and his performance during the MBC Korea China Friendship Concert, he left to Japan and started his Summer Snow musical as Tachibana Seiji, a young doctor who has a one-sided love to his patient, Katase Yuki. On May 29, news were spreading that Heo Young Saeng is planning to enlist for his mandatory military service in November. According to one of B2M Entertainment's representatives, he already decided to enlist by the end of 2013 right after he receives a draft notice. In fact, he already had a health checkup, and he was found to be fit for active duty by the Office of Military Manpower Administration. Further information about his enlistment has not been decided yet. On the day of SS501's eight anniversary, Heo Young Saeng, together with SS501 members posted the same video on YouTube together to celebrate and greet their fans. Kim Hyun Joong was not able to be in the video at that time because he had a shooting on his variety show, Barefoot Friends. However, Kim Hyun Joong still talked about their anniversary on his Korea fanmeeting entitled 2013 KHJ Show - Party People, held at the same day of their anniversary. During early June, Heo Young Saeng's Japan official website released tracks and information for his upcoming second Japanese album entitled Memories To You, which was released last July 3. The title is said to be Heo's memories shared with his fans. The album mainly consists of SS501 cover songs and rearranged tracks from his past albums, but there are also two new songs. In addition, HeoYoung Saeng's first solo composed song entitled "First Sky I've Ever Seen" (はじめて見る空だった) is also included in the album, totaling up to ten songs. A concert was held in Zepp Tokyo on July 11. On October 26, 2013, Heo had his first and farewell concert in Seoul entitled "2013 Heo Young Saeng Seoul Concert 0513 My Story", which marks the first time that all five members of SS501 appeared together on one stage and performed together as a group again after three years, as seen at the UNIQLO AX Hall. Kim Kyu Jong is still serving in the military service as of 2013. Since he was doing his military duty, updates about him can only be known through his friends' twitter updates and him writing personal handwritten letters to his fans to show his love and appreciation. To further show his acknowledgement towards his fans, it was revealed that he joined ThanKYU's (name of his fanclub) various donation activities. On February 1, Kyu Jong sent 14 woven hats that he and his mother had personally weaved during his spare time. On March 9, Kim Kyu Jong spent his free time attending Kim Hyung Jun's 1st solo concert, "The First" at Woori Art Hall, Olympic Park, Seoul. He even went up to the stage with Kim Hyung Jun and bowed together, marking the end of the concert. Park Jung Min attended and performed at the 2013 StarHub TVB Golden Viva Spectacular together with Sistar, U-Kiss and more on February 9, that was initially filmed during the January 31 at the Seoul Student Jamsil Gymnasium. The performances were broadcast simultaneously in Korea, Singapore, and Hong Kong to celebrate the Lunar New Year with their Hong Kong fans. On February 14, he held a press conference at the Sony Music Square in Tokyo about his upcoming concert tour. He had eight performances in total, starting on March 19 in Fukoka, March 21 in Osaka, March 22 in Tokyo, and March 23 in Nagoya. His shows had a different concept, though: light/dark; good/bad concept. In particular, he performed by the name "Park Jung Min" during the day, then changing his persona to "Romeo" when the night comes. In early 2013, Kim Hyung Jun attended the 2013 Asian Model Awards where he received the "Fashionista Award" on the evening of January 15 at the Olympic Hall in Seoul Olympic Park. In February, it was announced that Kim Hyung Jun will be having his very first solo concert in Korea to commemorate his 2nd anniversary since his solo debut in 2011. Ticket sales were pre-released on February 12. Kim Hyung Jun "The First", the name of the concert, was held on March 9 at the Woori Art Hall at the Olympic Park, organized by SPLUS Entertainment and managed by SH Creative Works. Kim Hyung Jun showed his own strengths and capabilities as a solo artist during the concert. The concert showcased various music genre and performances with a live band performances for all of his songs, which created a lively-filled stage. It also showcased his more matured musicality which he gained from both his acting career and musical development. This includes his guitar skills, which he played live for the first time. At the same time, one of the groups of his former label, A-jax of DSP Media performed on stage, and his fellow SS501 member, Kim Kyu Jong even got up on stage with him at the end of the concert. On March 17, he attended another charity event, SPD Charity Show 2013 in Singapore. He is one of the representatives of Korea in a charity concert hosted by Singapore’s TV station, Mediacorp TV SINGAPORE Pte Ltd. The concert was held to help those with physical disabilities. Stars from across Asia take part to raise funds through their performances and all proceeds will be donated to Singapore’s Society for the Physically Disabled(SPD). Kim Hyung Jun came back on television screens, as he has been cast in MBC drama's Gold, Appear! (‘I Summon You, Gold!‘). He plays the role of Han Ji Hye‘s younger brother Mong Gyu, an unemployed post-graduate with cute charms and a carefree attitude. The premiere of ‘Gold, Appear!’ was on April 6. On May 1, it was reported that he is planning to be enlisted in the military next year, 2014. During this time, he was busy preparing for his 'Who Am I' live tour concert in Nagoya and Tokyo at the end of May and early June. The Japanese live concert was held on March 29 to April 7 (six concerts in total) that went through cities such as Osaka, Nagoya, and Tokyo. Kim Hyung Jun became a "Lotte JTB" advertising model in June. He had a fanmeeting entitled "2013 Kim Hyung Jun birthday party tour" last August 3, 2013. In 2014, SS501 to release "SS501 Best Collection" album in Japan on September. The compilation set features a total of two albums, one featuring their greatest Korean-language hits and the other featuring their Japanese-language hits. Volume One features 26 Korean-language songs. It comes with a bonus DVD containing 16 music videos while, Volume Two features 17 Japanese-language songs. It comes with a bonus DVD containing three music videos and additional bonus content. September 2, both "SS501 Best Collection" versions ranked on the Oricon Albums Chart at number eleven and thirteen respectively.